Two icons come together and share their common values in a capsule collection of sound tools inspired by the design of the world's fastest aspherical lens. Fueled by the human desire to explore new worlds of creativity, the Master & Dynamic collection merges the fine art of precision engineering with valuable materials, sophisticated design and detailed sound. The result is a unique series of headphones that – just like your Leica camera – accompany you on your journey through life, whether you are traveling the globe or savoring the beauty found in the moments of everyday life. The Master & Dynamic wireless over-ear headphone is the perfect companion for embarking on a journey of discovery. The wireless over-ear headphones are appointed with the highest quality materials including custom smooth cowhide and stainless steel componentry. The red acoustic mesh of the lambskin ear pads, signature red glass dot, knurling and custom etching throughout pay further homage to the camera maker’s iconic design details. Every detail is considered including 45 mm custom neodymium drivers, exposed all-aluminum antenna for best-in-class signal range and connectivity as well as a 16-hour lithium ion rechargeable battery. Enjoy the sights and sounds of your travels with your Master & Dynamic Over-Ear Headphones. The over-ear headphones are appointed with the highest quality materials including custom smooth cowhide and stainless steel componentry. The red acoustic mesh of the lambskin ear pads, signature red glass dot, knurling and custom etching pay homage to Leica’s iconic designs. 45 mm custom neodymium drivers provide a rich, warm sound experience. Two cables and dual input/output ports allow for two travelers to share the same audio device or watch a favorite movie together on one tablet. Lighten your load, relax and enjoy earphones. Made of black chrome over a solid brass body, the earphones feature a distinctive form with ergonomic and elegant details and benefit from the acoustic properties of brass. 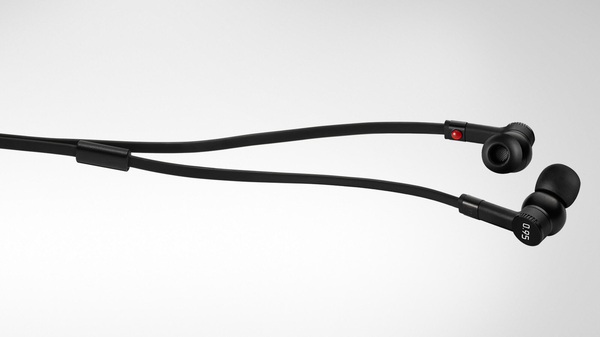 The earphones utilize custom 8mm drivers for superb sound quality and are custom machined like all Leica products. Balanced weight distribution ensures a snug, comfortable fit. 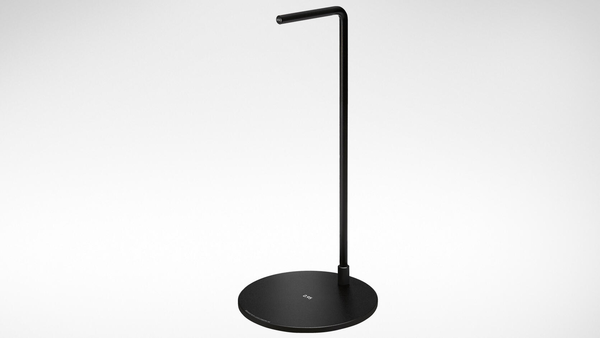 The range is complemented by specially designed headphone stands realized in the course of the collaboration for appropriately stylish safekeeping of the headphones when not in use. 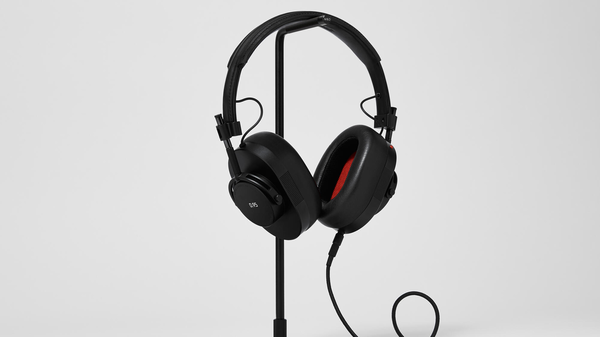 Master & Dynamic is a premium audio brand obsessed with sound and creativity. It is a New York City-based company with a deep passion for building beautifully crafted, richly appointed, and technically sophisticated sound tools for creative minds. Its collection of headphones is tuned to provide a rich warm sound that perfectly captures the exceptional detail of well recorded music. Master & Dynamic sees its headphones as modern thinking caps: tools to help focus, inspire and transport your mind. 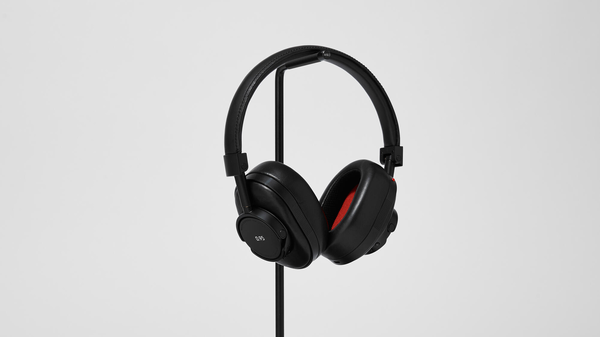 Designed for decades of use, Master & Dynamic products are engineered to last, utilizing only the finest materials such as premium leathers and stainless steel, which create the perfect balance of aesthetics, strength, comfort and sound. View the entire collection at www.masterdynamic.com.